Anyang (simplified Chinese: 安阳; traditional Chinese: 安陽; pinyin: Ānyáng; [án.jɑ̌ŋ]) is a prefecture-level city in Henan province, China. 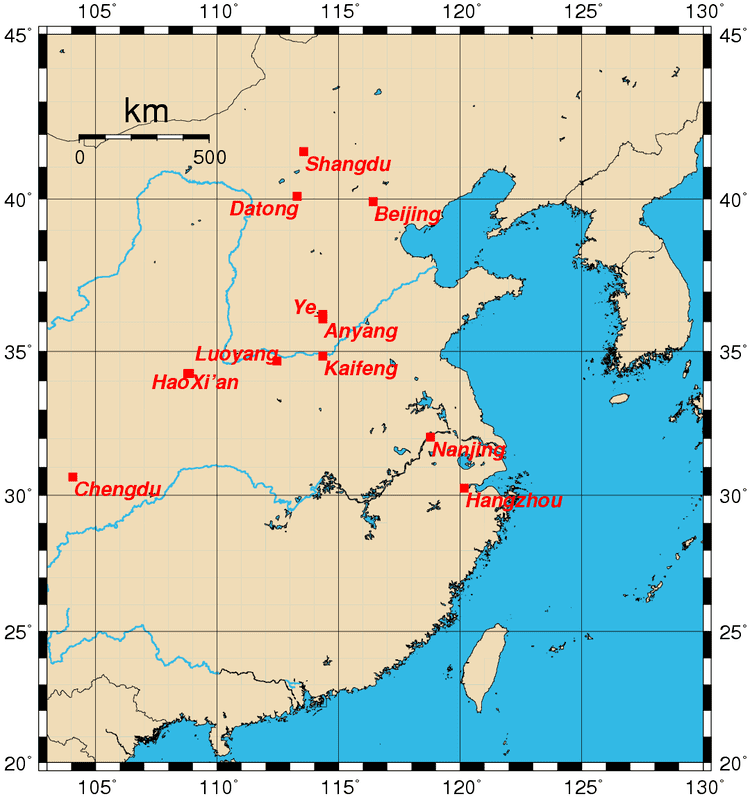 The northernmost city in Henan, Anyang borders Puyang to the east, Hebi and Xinxiang to the south, and the provinces of Shanxi and Hebei to its west and north respectively. Following the establishment of the Republic of China in 1912, Anyang was given its present name after a renaming process. 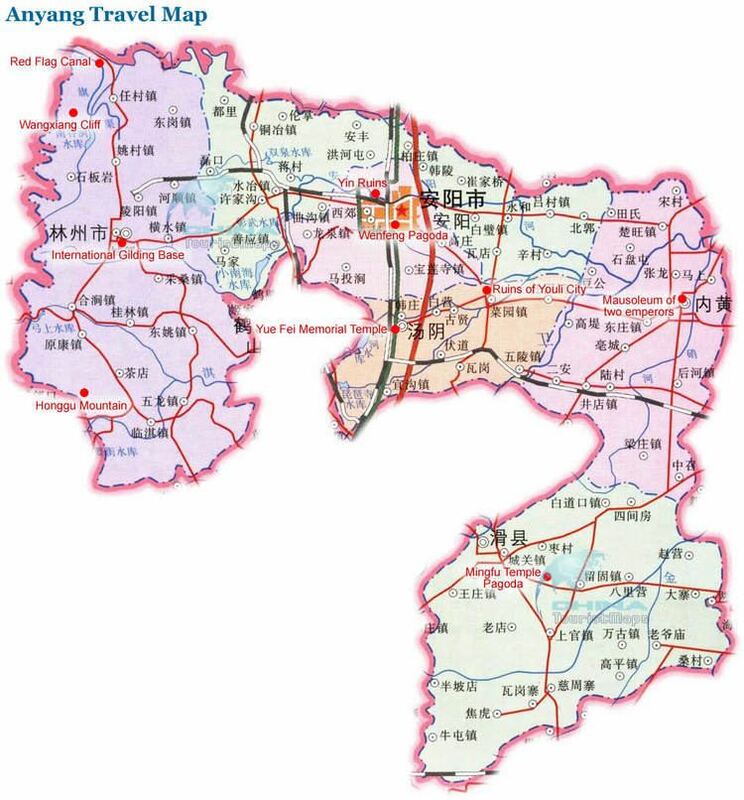 In August 1949, Anyang prefecture was detached from Henan and – along with Puyang and Xinxiang – consigned to the short lived experimental province of Pingyuan (平原省) by the ruling Communist government. All three were eventually returned to Henan's territory in November 1953, with the dissolution of Pingyuan. Anyang city is an ancient city with a history of over 3,000 years and is one of the Eight Ancient Capitals of China, and also one of the best preserved. It is one of the key birthplaces of Chinese ancient culture. Here are the primitive caves of 25,000 years ago, the overlapping strata of the Yangshao Culture, Longshan Culture and Xiaotun Culture, the memorial mausoleums of ancient Emperor Zhuanxu and Emperor Ku over 4,000 years ago, the first library of inscriptions on bones and tortoise shells, the Soul Spring Temple, known as the "First Ancient Buddhist Temple in Henan", and 10,000-Buddha Ravine, as well as unique Wenfeng Pagoda, Xiuding Temple Pagoda and Mingfu Temple Pagoda. The city has three large museums: the Anyang Museum, the National Museum of Chinese Writing, and the Yinxu Museum on the ruins and royal tombs of the Shang Dynasty. Anyang also has beautiful natural scenery—the Taihang Linlu Hill Scenic Area on the 400-kilometer Taihang Mountains and the grand 1,500-kilometer Red Flag Canal. Changchun Temple, a Taoist shrine, was built on the hillside of the mountains surrounding it during the Tang Dynasty. It was officially opened to the public in 1 May 2014, after a period of cautious restoration. Located about 2 km (1.2 mi) northwest of Anyang are the ruins of the Shang Dynasty capital known as Yin. 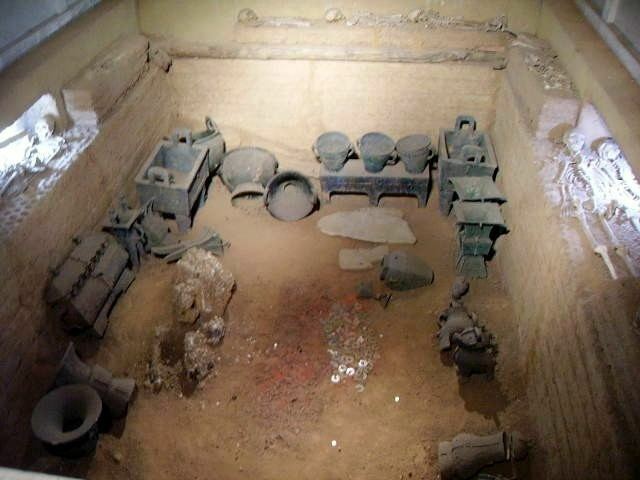 This massive archaeological site was discovered in 1899, excavated in the decades that followed, and first opened to the public in the 1980s as the Garden Museum of Yinxu. The current museum was opened on 16 March 2005, and includes the famous Tomb of Fu Hao. The site was later designated a UNESCO World Heritage Sites in 2006.